Video: The solar eclipse seen through a weld camera! The day of the recent solar eclipse was a fun one for us at Xiris. It was also a chance to show off the High Dynamic Range (HDR) capabilities of our weld cameras. 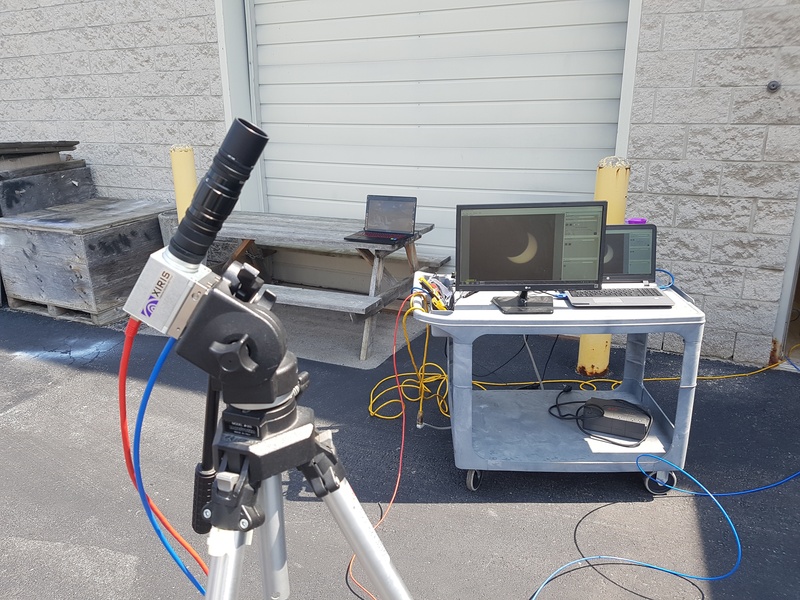 One of the great advantages of state-of-the-art HDR cameras is their ability to capture both the super-bright light produced by a weld torch and the important detail in the surrounding dark background, and we realized that capability would give us an excellent view of the eclipse. All we had to do was take a camera out of the box and aim it—no special filters needed to view the breathtaking sight. 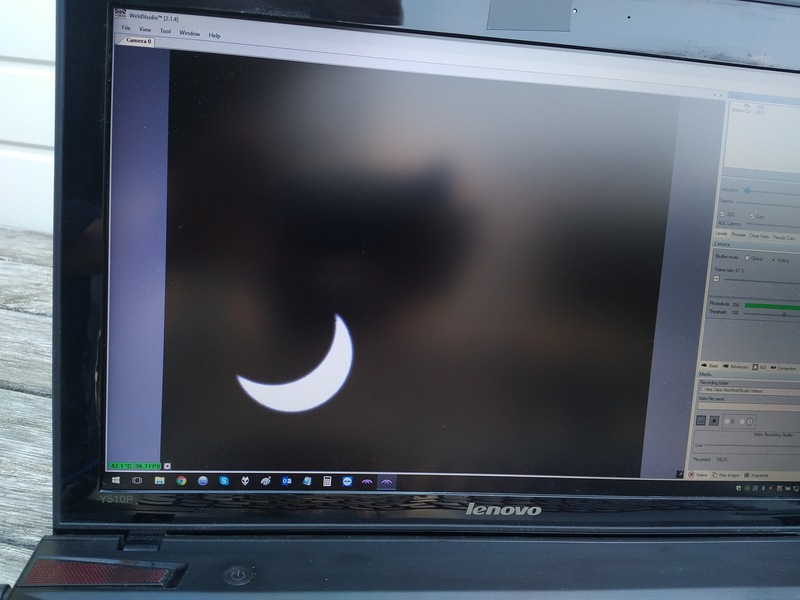 We set up outside of our office and started watching high-contrast images (about 140 dB of signal range) of the event on a monitor hooked up to our XVC-1100 camera. We all enjoyed the show, and before long, so were folks from surrounding offices, who made their way over to view with us. 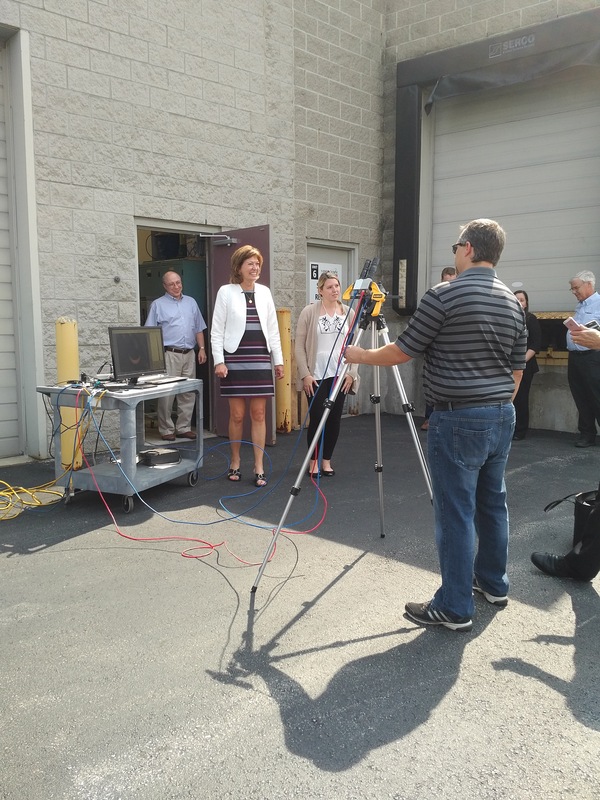 We even had the pleasure of a visit from Pam Damoff, a Member of Parliament from the Oakville North - Burlington district, who appreciated the chance to see what a Xiris camera can do. It was a perfect opportunity to illustrate the power of High Dynamic Range imaging. It was also a nice break from the normal office routine! To see for yourself how we set up and the high level of light/dark contrast we were able to capture, take a look at this short video.